At the nexus of education and technology, blended learning is growing rapidly. Integrating face-to-face and online learning, blending can enhance learning and optimize seat time. How can blending transform today’s learning environments? 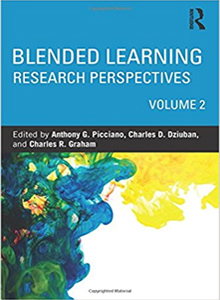 In response to this question, 24 practitioners at 16 colleges and organizations examine research, stakeholder perspectives and best practices in 13 chapters designed for multiple educational contexts such as: designing and delivering hybrid courses, student interaction and student satisfaction, strategies for training and preparing faculty and other related topics.